Wow. I can’t believe how long it’s been since I last wrote. It’s been a busy few months, which I’ll explain over several posts - but the main reason is that Rick and I got married! 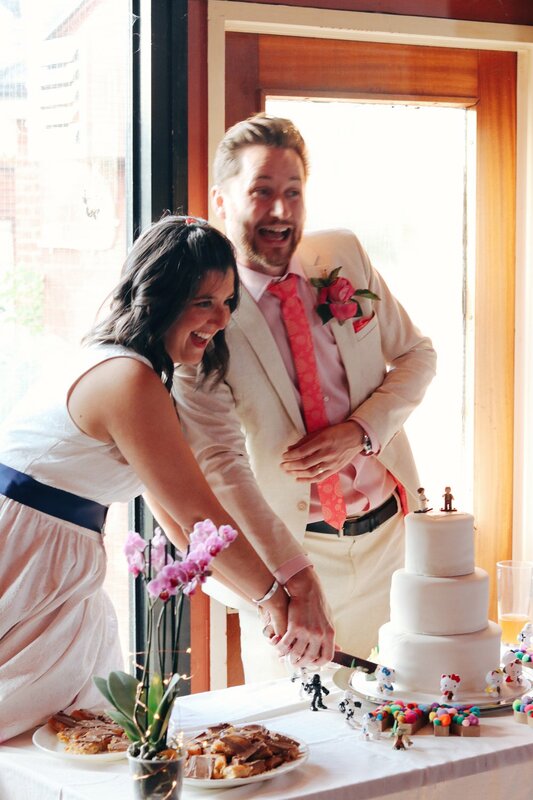 After 10 months of planning, our big day arrived on August 10 - and it was the best day ever. It’s weird when you hear other couples talking about how their wedding day was the best day of their life - I always think, ‘surely there are bigger things; it’s only a day’ - but I have to say, it’s definitely up there. We spent a long time planning things which would reflect our personalities on the day, from our outfits to the music - and almost everything was DIY. I’ll be writing about all this over the coming weeks. In the meantime, here are a few of our favourite photos.